Screenshot: BANDAI NAMCO Entertainment Inc.
Everyone’s favorite uncomfortably detailed manga dream team leads a powerful and stylish week of new games. I mean, just look at that hair. In high school I was a big fan of the various series featured in the long running Shonen Jump magazine, as well as the many television shows they had inspired. I bought volume after volume of Yu-Gi-Oh, Naruto, Shaman King, and more. It’s too bad crossover games like Jump Super Stars and Jump Ultimate Stars for the Nintendo DS never made their way stateside back then. It’s wild to think that Jump Force represents half a century of iconic characters from the legendary comic publication. 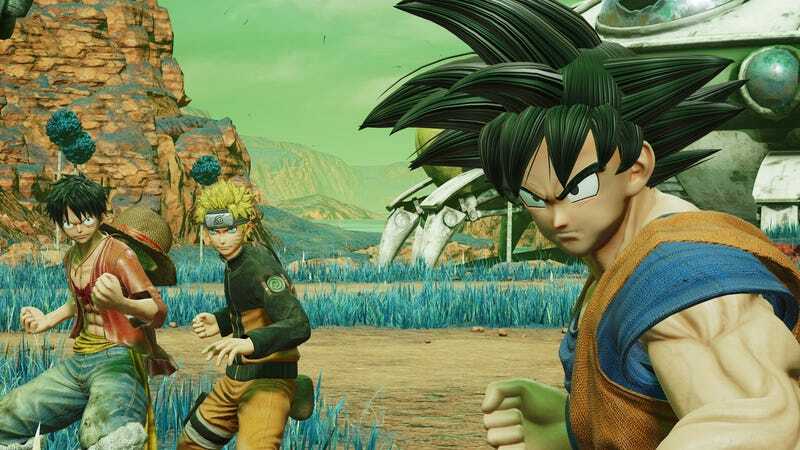 Jump Force is joined by big hitters like Far Cry: New Dawn, Metro Exodus, and the long-awaited Crackdown 3. And what’s this? The long neglected Vita is even getting a game here in early 2019. There’s a little something for everyone.